FlightPlan is a native iPhone/iPod Touch (FlightPlanHD for the iPad) application for both professional and hobbyist pilots. 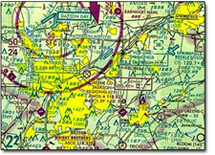 At its core, FlightPlan functions as an aviation calculator by simplifying many common calculations typically performed with an E6B slide rule computer. FlightPlan makes quick work of your number crunching, and is even used by CFIs to quickly check their student's flight and leg calculations (see Leg Calculator feature and FlightPlanHD's new Navigation Log screen). FlightPlan has evolved beyond the core functionality. It now offers many advanced features, including Weight and Balance calculators (with envelope limits and plotting your CGs in your envelope!) for both airplanes and helicopters (for linear analysis). FlightPlanHD for the iPad even comes with the full version of FlightScale built in! 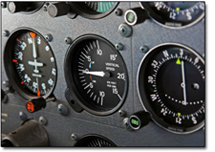 Please read more specifics about all of the features in FlightScale on it's dedicated pages. Other standard features in FlightPlan include live METARs and TAFs, airport data, flex weight calculator, windstar calculator, and much more. FlightPlan will continue to evolve as I incorporate more user requested features. My goal is to make FlightPlan as "all inclusive" as possible, so please let me know if there are features you are looking for that FlightPlan does not already offer. The development of FlightPlan is greatly influenced by your comments and feedback so drop by the forum or shoot me an email and say hello! Be sure to check out the screenshots of FlightPlan by using the link above. Allows users to create links to helpful websites from within FlightPlan. Some useful sites may be specialized local airport and weather data sites for your country! Special thanks to Bernie Fritts for creating the beautiful icons for version 1.2! Be sure to thank him in the forums for his hard work! Thank you for your interest in this software. If there are features you would like to see; please contact me and let me know! Disclaimer: You, as pilot in command, are solely responsible for assuring calculation correctness. Please double check your calculations for accuracy. Safety first! Get FlightPlan and FlightPlanHD from the iTunes store!